Recent technology advancements in golf have dispelled longstanding myths and misconceptions at the heart of the game, changing how golf is taught and played forever. Gone are the days of the one-off opinion and subjective “eye” of an instructor, because today’s golf instruction is governed by factual data. 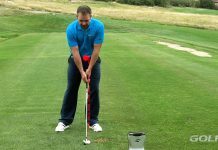 This leads to an elimination of guesswork, greater efficiency of learning and vastly increased confidence with all golfers, from the experienced player to the beginner. In other words, it’s become easier to play better golf. At GolfTEC, “fact-based” instruction is the core platform resulting in millions of golf lessons, taught at a 96-percent success rate. 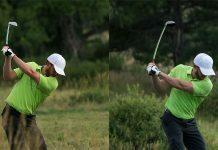 In early 2016, GolfTEC’s SwingTRU Motion Study, the most comprehensive fact-based swing study ever conducted, took golf instruction to a new level when it revealed key positions in the golf swing directly correlated to playing great golf. Proving to break the mold of some long-conceptualized ideas in golf instruction, the information proven in the SwingTRU study contradicts various common, “old-school” theories and practices taught to this day. 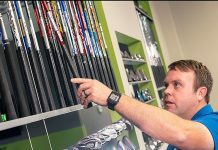 But, while a few of these may have come as a surprise to some in the industry, the SwingTRU Motion Study has strongly reinforced GolfTEC’s fact-based platform in place for many years. The study’s results, therefore, furthered GolfTEC’s uncompromising goal to evolve with data-analysis-driven instruction, which is constantly moved forward by emerging, new technologies. 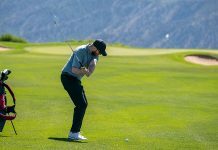 In simple terms, this is GolfTEC’s core mission — to continue unveiling conclusive facts regarding how the best golfers swing, and therefore how to most effectively teach the game of golf. See how you measure up at a Swing Evaluation- now on sale for only $95! By its very nature, data-driven analysis in golf instruction is centered around how the body and golf club move within the swing. But, the understanding of golf’s ball flight laws are also at the heart of the golf technology boom, because — in pure regard to geometry — the cause and subsequent effect with a golf swing and resulting shot are connected in every way. laws will continue to grow in importance and associated research. 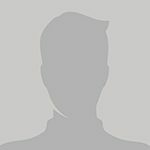 As it stands today, recent technological advancements in golf have proven previously theorized “laws” governing golf ball flight to be incorrect. For many years, the basis for understanding the clubface-to-swing-path relationship and effect on ball flight were almost wholly misunderstood and vastly ill-taught. With these ideas now factually proven, some principles behind golf instruction have changed forever. Just like GolfTEC’s proprietary motion measurement technology has helped quantify truths about how the body moves within the golf swing, ball flight tracking systems like Foresight and Trackman have dispelled previously theorized ideas through a similar genesis of data-driven analysis. 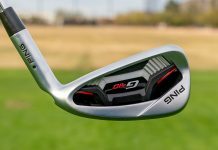 Simply put, it was long thought the path of the club dictates a golf shot’s initial direction, and direction of the clubface dictates the shot’s curvature. The exact opposite has been proven true. 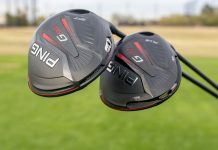 Nearly 75 to 95 percent of the shot’s initial direction is dictated by the clubface, not the swing path, and it’s the path that dictates curvature, not the clubface. 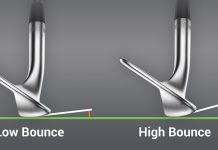 Imagine taking lessons for a year to straighten out your push slice (starts right, then curves right from there) by working to create more of an “in-to-out” swing, only to realize your swing path has been fine all along and it was the clubface-to-path relationship causing that ugly, right-bending shot. Translation: You’ve worked for a year to no avail on the wrong thing, and what you need to fix your push slice is learn to square up the clubface in relationship to your swing path. Golf is complex enough as it is, much less when subjective direction is given with no factual data to back it up. The correct golf ball flight laws and great instruction, therefore, go hand in hand. The best “methods” to teach and play golf have long been a hot-button topic in the industry, resulting in divisive, polarizing views on the ideal technique behind every shot imaginable, golf equipment, ideal fitness training, mental preparation — the list goes on. 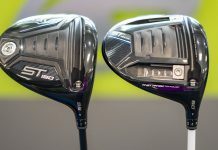 But technology is proving to close this gap of open-ended opinions in golf, and it’s doing so at a torrid pace with data-driven breakthroughs like GolfTEC’s SwingTRU Motion Study. Of course, in no other area does this ring true more than with comprehension of golf’s ball flight laws, and their impact on those who teach golf and strive to play it well. 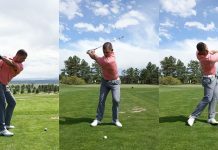 So, no matter what opinions you have on golf and the best ways to play it, know facts like golf’s ball flight laws for what they are — a great way to assess the flight of your shot and what caused it, and the ultimate starting point to play great golf. Experience how fact-based golf instruction can help your game at a local GOLFTEC Training Center. For more golf tips like this and all the latest instruction, news and equipment information, check out the GolfTEC Scramble daily and find a GolfTEC Improvement Center near you to start playing better golf today! 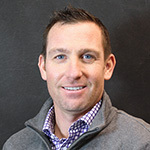 A former Instruction & Equipment Editor at GolfChannel.com and guest author for PGATOUR.com, Golfweek and others, GolfTEC's Jon Levy is an accomplished golf writer. His extensive golf experience also stems from a competitive background in college (Iowa State Univ.) and on the mini tours, and nine years as a college golf coach at the University of Colorado, Scottsdale Community College and Paradise Valley Community College. In 2007, Jon was named the NJCAA National Coach of the Year after leading Scottsdale to the NJCAA National Championship title. Golftec’s site illustrated what factors go into your ball flight after striking it. This is the best, simply illustrated explanation on what is causing your ball to do what it does that I’ve been able to find. This helped explain to me what was happening to my ball & keeping it out of the fairway.